A tree's root system can spread across your yard. Root systems are very resilient and can sometimes become a head ache after the tree has been cut down. 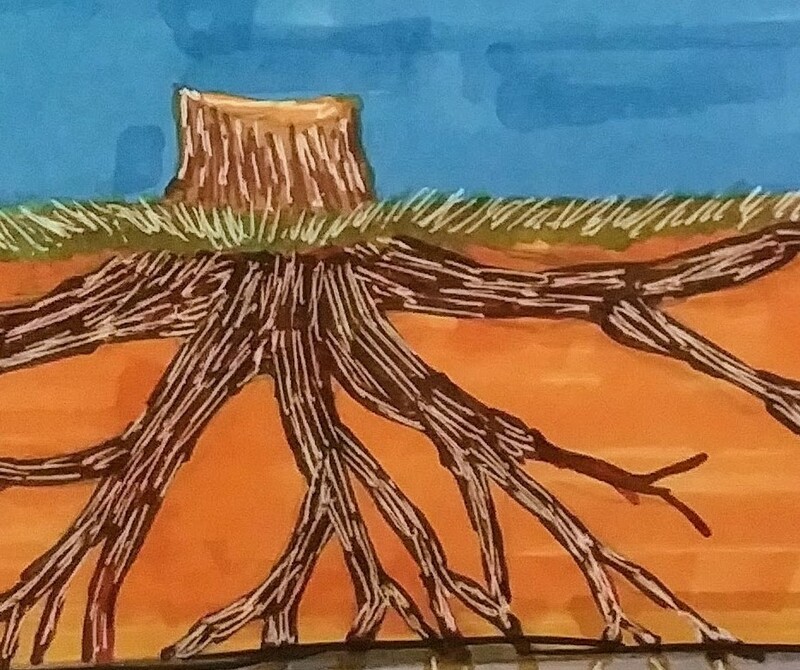 Roots grow deep and wide. Often times growing into buried pipes and irrigation systems. 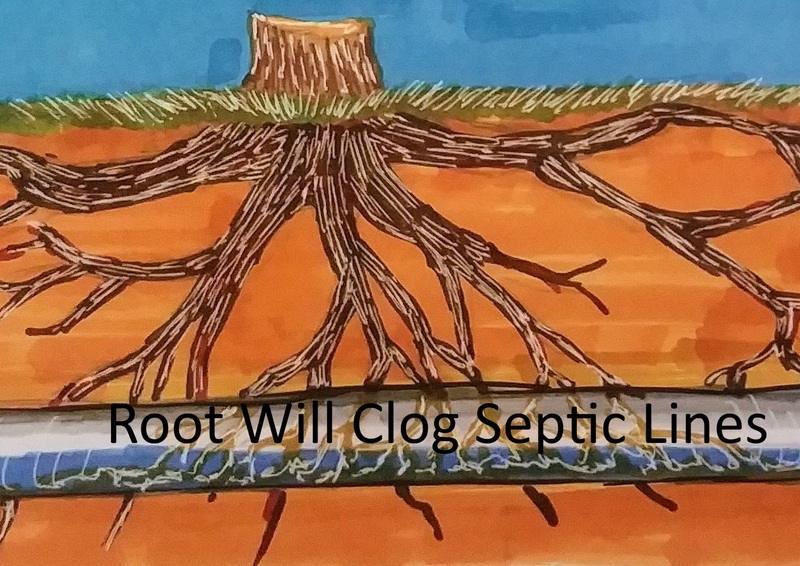 When roots break through into septic pipes, the can back up your plumbing and damage drainage lines. 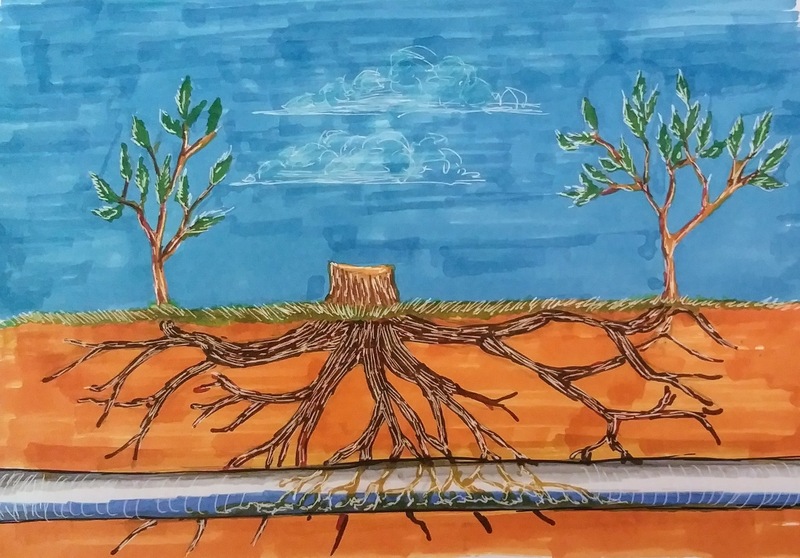 Tree roots grow into pipes and drains breaking pipes and causing clogs in sewage drainage. Growing out too far or away from property lines into neighbors yards or into power lines. Wild tree grow can sprout trees all your yard. Tree limbs can break and cause property damage. Many home owners will remedy this problem simply by removing the tree entirely. Once the tree has been remove doesn’t mean the some of the problems are gone too. Deep below the surface tree roots still grow and can pop up in one or many spots through out your yard. When this happens you deal with the roots below the surface. Grinding down your tree stump is the fastest method to remove the stump and kill the root system. Stump grinder is a power tool or equipment attachment that removes tree stumps by rotating cutting disc that chips away the wood. A commonly used herbicide used to kill trees is Round Up (glyphosate). To apply herbicide drill a series of 6-inch-deep holes around the edge of the stump using a 1-inch spade bit extension. Apply the with a small paint brush. The roots will die out, thus killing the stump. If you’d rather not use a systemic herbicide such as glyphosate, vinegar is an organic homemade alternative that is very effective. The one draw back is that it will take multiple applications to kill the roots. Select a warm, dry day and fill a spray bottle with undiluted white vinegar and spray thoroughly, coat the leaves of shoots growing back from the tree roots and stump. This destroys the leafy top growth that supplies the roots with food. Roots will eventually dies. Epsom salts acts as a weed killer by absorbing water that would normally be used by plant roots. 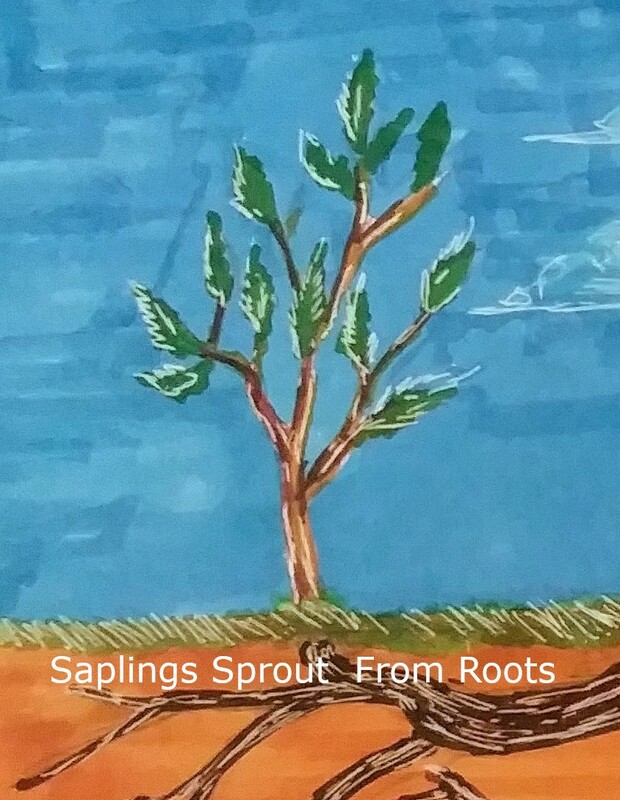 Salting plants and roots creates in drought like conditions that deprive vital water to a plants roots. When the salt is dissolved by water, it can be absorbed by the tree roots and build up to toxic levels. Use caution when using salt because sprinkling salt on the soil around a tree will kill grass and other desirable plants as well. Target the tree stump specifically. Please check out the video below. You can watch part two here.